I’ve decided to celebrate the coming of Spring with a really nice giveaway! 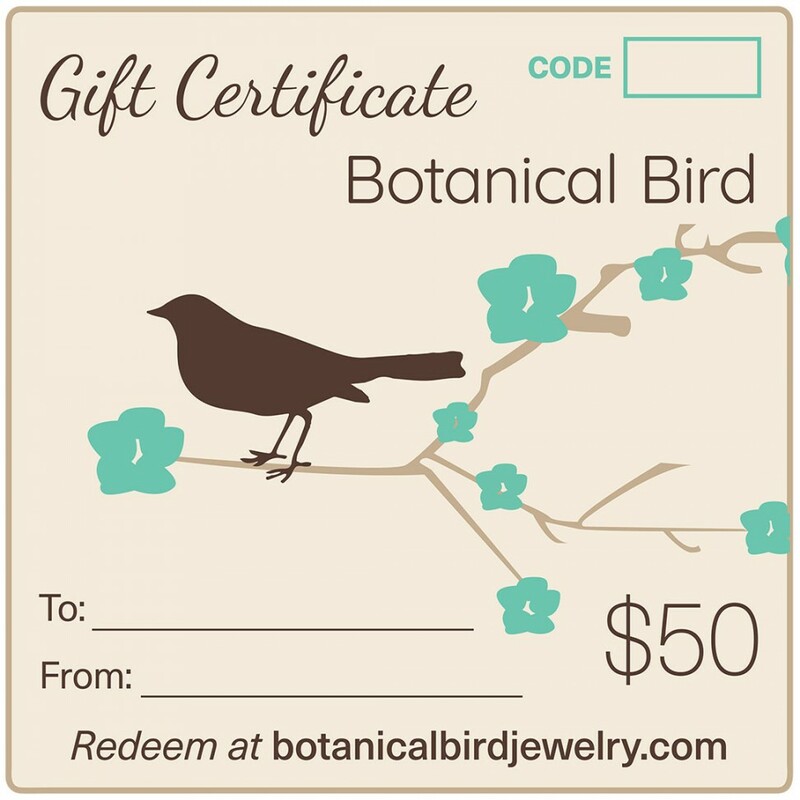 One lucky winner will receive a $50 gift certificate, to be spent at my etsy store. The more entries, the better your chances…good luck! Eeek! So excited about this giveaway! Everytime I visit your shop I favorite something different, so it'd be impossible to choose just one! Creamy Yellow Bouquet Necklace, maybe, or Garden Party Red Earrings? I could never decide! I love this necklace (http://www.etsy.com/view_listing.php?listing_id=40863220), but these earrings (http://www.etsy.com/view_listing.php?listing_id=42564015) are also superb! I think my favorite currently in your shop is the Elegant Pearls, Bridal Bracelet. I'd wear it for other than a wedding (since I'm already married!). I also love the necklaces in the style of the Dragonfly Flower Necklace. oh, what an awesome giveaway! i really love the dogwood jewelry, especially the hair pins. i would love to wear them in my hair at my wedding in may. What is better than a locket? The Teal blue earrings and the Honey Bee locket are my favorites! My favorite is the Little Green Owl pendant. I love the Red Rose Barcelona Necklace!!! Gorgeous! Oh Cyd, don't make me pick! I still love the Bohemian Blue necklace and earrings … but I also love the Teal Blue Glass earrings … and the Ruby Red Jewel earings … and about half a dozen other things. Ok, you're Tweeted and … Facebooked? Faced? Booked? You get the idea. I like so many of your items! I recently purchased garden party ring to match my garden party earrings and they are wonderful! What a great giveaway!! Its so hard to decide which piece is my fav…I like so many! Maybe the Sweet Blossom Necklace? Burnt Orange Lily ring is just one of my fav. I just retweeted your tweet for the giveaway. Happy spring and happy day to you my friend! love! the garden party red ring and the red flower bouquet necklace!! My favorite item is the retro owl necklace. I love the Blue Rose Locket! I'm a sucker for the "secret garden" lockets. Great to see you back with your blog! Beautiful items! I also had a hard time deciding on a favorite, but it would have to be between the Bohemian Blue and Red Necklace and the Blue Meadow Flower Necklace. I love the Garden Party necklace! The combo of jade/minty green and red is so gorgeous! Hi! I've found many pretty items at your shop, but I think my favorite is the Elegant Pearls, Bridal Bracelet. Actually, I'm really in love with Blue Meadow. It's gorgeous! Also, thank you for your kind words regarding the whole Flickr fiasco. It means a lot. Many thanks! As for aspiring writer suggestions. I would definitely encourage you to go with free options such as WordPress. I would also encourage you to post on free writing websites. For instance I am a member of Hello Poetry, which is a site for poets, both aspiring and accomplished. I post regularly there, it gives me an opportunity to take time to do some creative writing and another bonus is I’ve made a number of nice connections there as well. Best wishes!